Why I would always recommend owning a Royal Enfield? I have been a proud owner of a Royal Enfield Bullet for a little over 3 years now and do enjoy an occasional long tour. 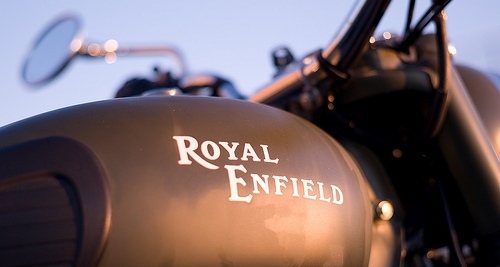 Strong – Royal Enfield Bullet is a powerful machine with the biggest engine around on all the Indian bikes. 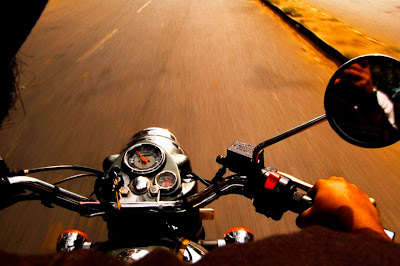 One can easily cruise at 70 – 80 Kmph without even feeling a slightest glitch or pinch that the engine is being pushed – which is a very normal situation with any other small engine bikes – They start smoking as soon as you hit 70-80kmph. Protruding Foot Rest – Footrest always protrude the sides of the bike so just in case of an accident or fall your leg and foot don’t bear the brunt and the footrest definitely add the extra cushion with a very comfortable sitting posture. .
Brotherhood – There is a special camaraderie between Royal Enfield owners. Means how often do you see Pulsar or for that matter Karizma owners coming together and riding out? And in fact have you actually ever noticed other bike owners come together and start riding in a formation, without actually sharing a common destination and without pre planning it. It always seems the new age bikes are always trying to edge each other out…be it the race to the next red light or just the sheer enthusiasm of overtaking another biker who doesn’t even realize that the race is on! 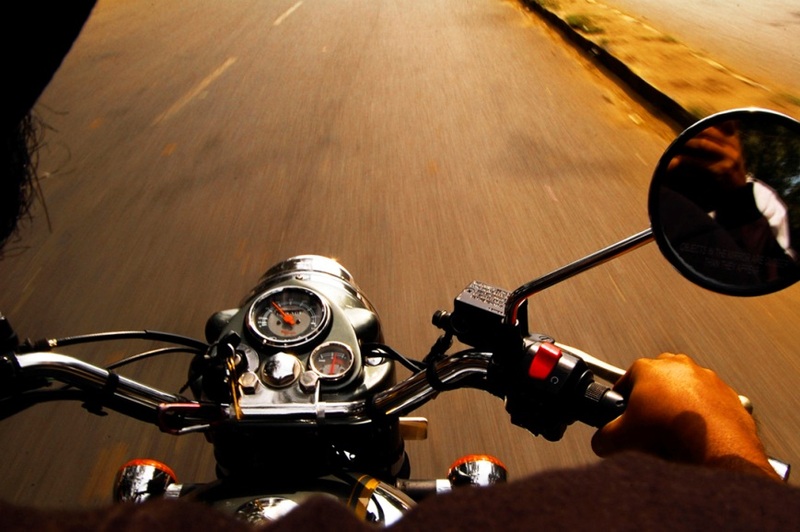 Royal Enfield has the maximum number of clubs dedicated towards touring in India. Longevity – I have not seen any of the other bikes lasting through the decades. Whereas you can easily discover 1950’s – 1960’s Bullets still thumping strong. Maneuvering – Maneuvering on the Delhi Roads has been a cake walk. I agree the bike is heavy and you need to have some strength in case you get off balance but Bullet is still a dream to handle. The handle allows almost 70-80% of rotation which makes it easier to cut through a heavily jammed road. Comfortable Tourer : I must say I have been blown away with the posture a Royal Enfield provides the rider even with the company fitted normal seats. I hardly think that there is any other bike which comes close to the comfort levels offered by Royal Enfield. Then there is always an option to explore other seating options like Spring Seats/Longer Back rest for the rider among other things. Sound – Thump and the beat..Need I say more? Bigger Petrol Tank : Smaller fuel capacity always hurts on the long rides specially when your other non RE biker friends don’t need to fill up. Slightly Cheaper Spare Parts : I must say that RE spare parts are really really expensive compared to the other bikes but once you are experienced a little you always know where to grab on that extra crash and air filter from. Better Headlights : A good headlight goes a long way to help you on the lonely and long stretches while riding long and I so wish that RE provided us with good stock headlights. There is always the need to install that extra piece of lighting equipment on the bike but it also means that those extra resources will make sure the life out of the battery is snatched out.